Cozy and well-lit rooms for a stress-free stay. 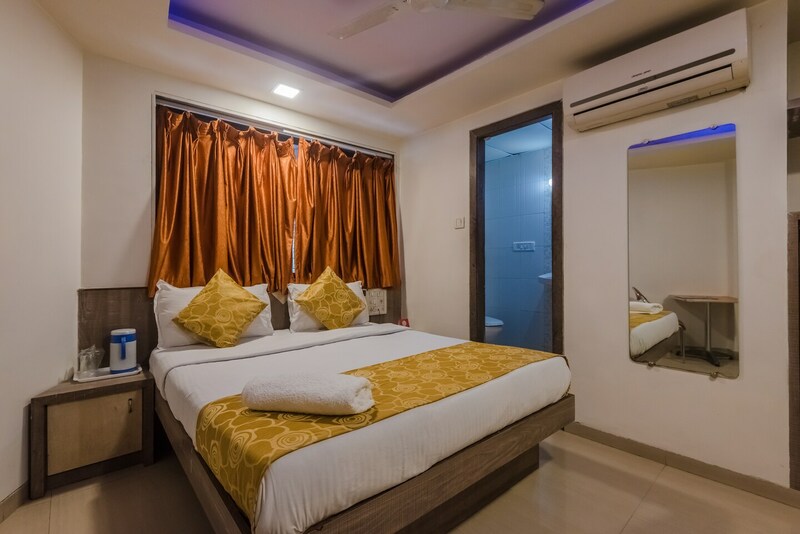 Maintained and looked after by a hospitable staff, Hotel Galaxy Residency provides affordable quarters to business travellers and tourists alike. The bedrooms are well-designed and the upholstery makes the space lively. The guests can catch up on work or connect with friend and family by use of free wifi available at the property. Other facilities include CCTV cameras, card payment and laundry services. Some of the notable sights in the vicinity include Sri Saibabas Samadhi Temple, Siddhi Ganesh Mandir, and Red Carpet Wax Museum. Close to restaurants, bars, and cafes such as Opa! Bar & Cafe, shopping malls, and movie theatres, the hotel ensures that guests always have something to do.